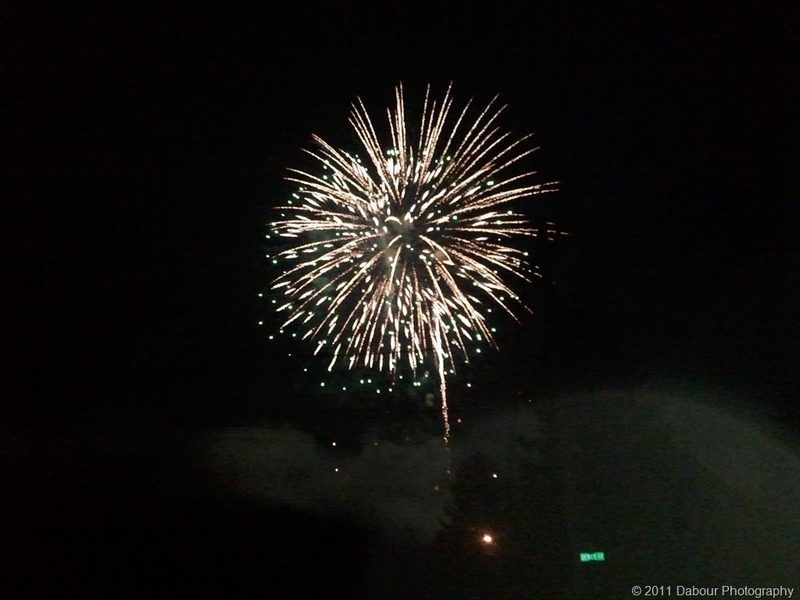 I grabbed this quick shot with my cell phone camera (Samsung Focus) during some unexpected fireworks. 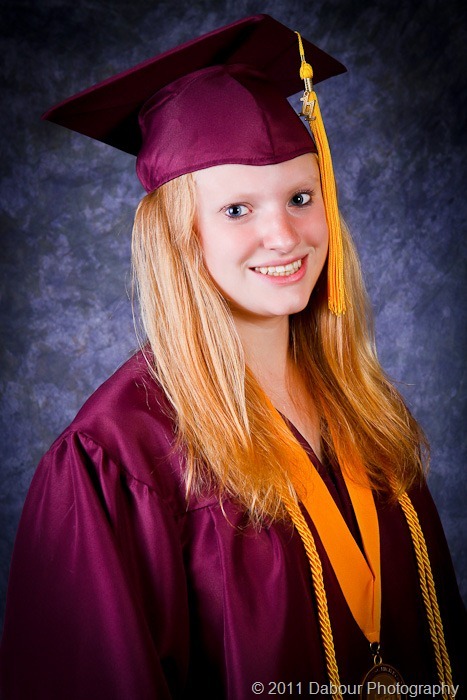 I finished up taking some senior portraits of Amber that I started last fall. We started off outdoors and ran out of good light and didn’t get two poses and outfits that I wanted to get. Fast forward 8 months due to both of us being busy and I finally finished up! Rest of the gallery can be found here. I had the pleasure to attend and photograph SKIT’s “Hairspray!” cast party. 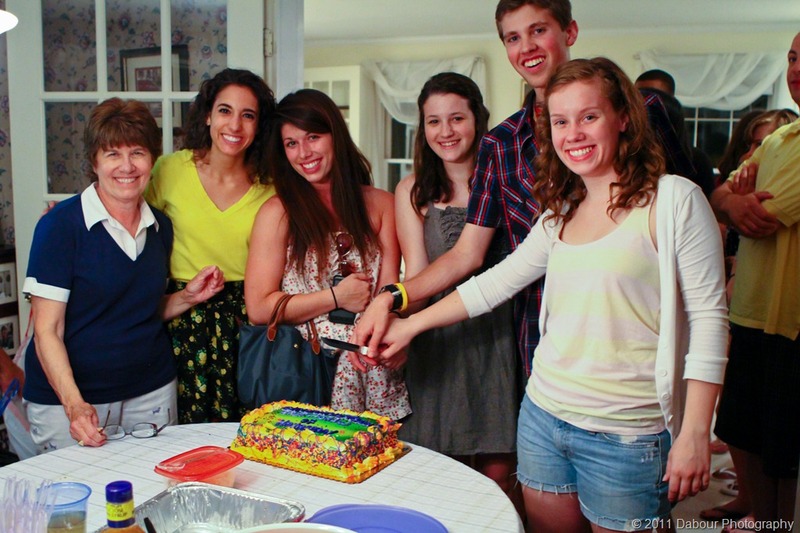 Pictured to the left are the seniors cutting their cake. As the parent of one of the leads, its hard to imagine the show is over. I remember photographing the announcement of the show, the many rehearsals, and of course the shows themselves. What doesn’t seem like can come fast enough is suddenly over in what seems like an instance. I wish all of the seniors the best at whatever they choose to do in life and I know they will be great at it. Such a fantastic group of young adults! Alpha, NJ celebrated its 100th anniversary this past weekend with a parade in town. 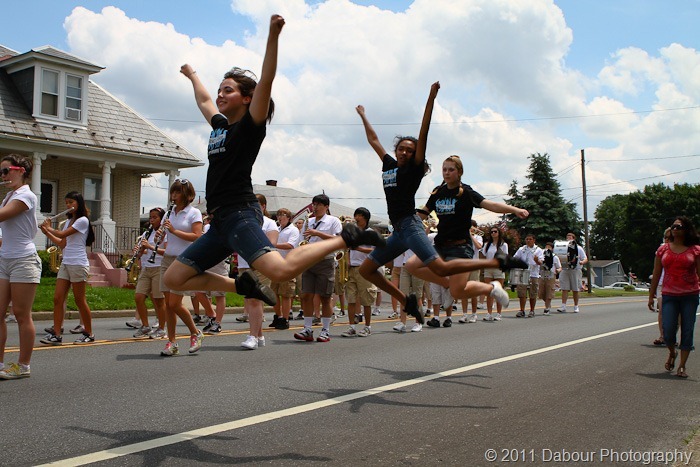 Pictured to the left is the Phillipsburg High School Marching Band and dance team in action during the parade. The dance team is near and dear to my heart as my daughter was captain in her last year of high school (last year). 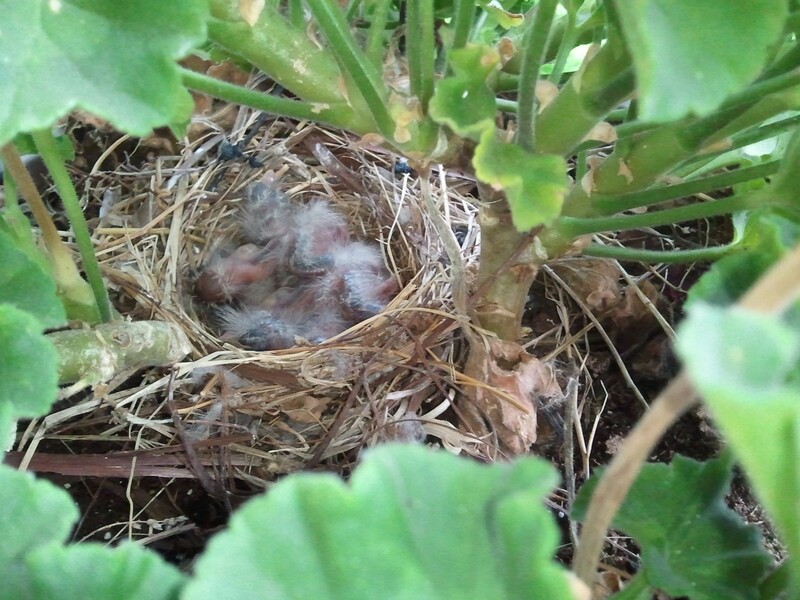 Here’s an updated photo of the bird nest (Finches?) in the from of my house in the hanging flower pot. There were six (6) eggs. As you can see they hatched but I’m not sure if there’s six little ones in there. It just looks like a sea of humanity! Somehow the mother has been hanging in there with the gusty winds during thunderstorms over the past few days. 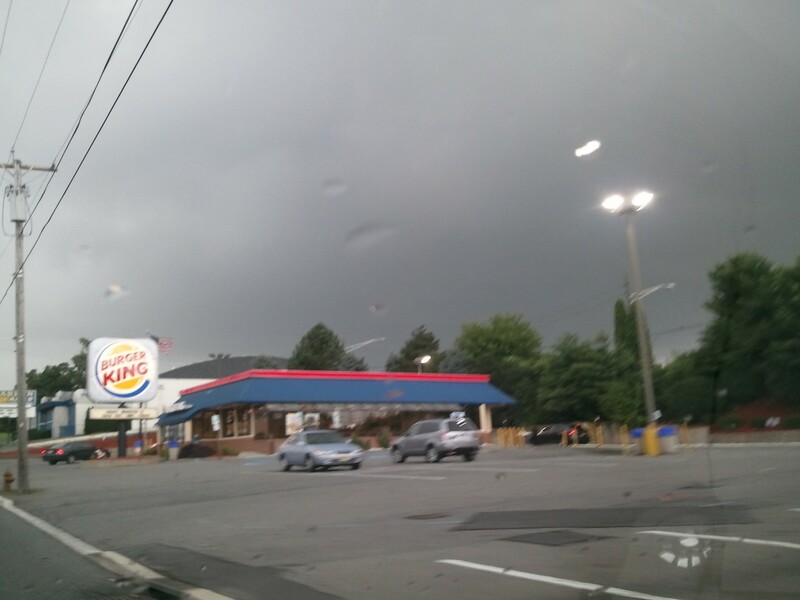 Before last nights evening rain deluge, the sky looked pretty omnious – even more so than this photo depicts. I wish it could always be this pleasant in taking out the garbage! 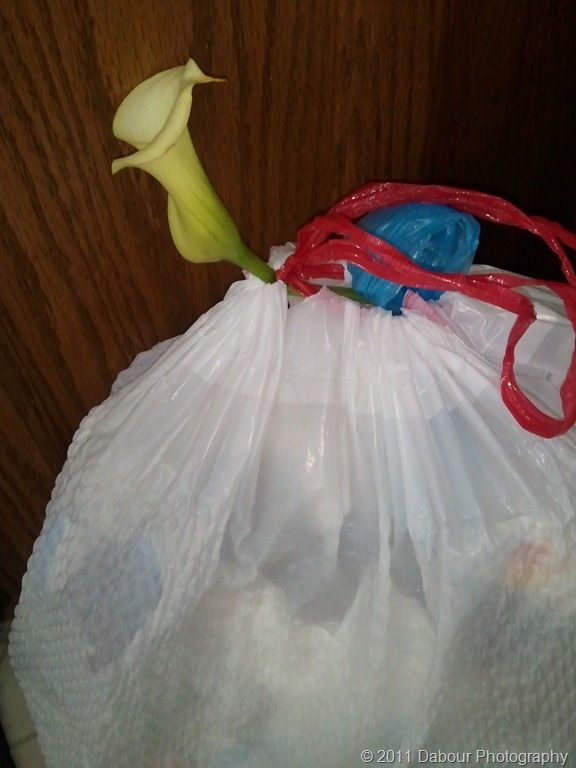 A houseplant had a flower fall off so into the garbage it went. While zipping up the drawstring, the flower stuck its head out saying it wanted to shine its petals one last time!